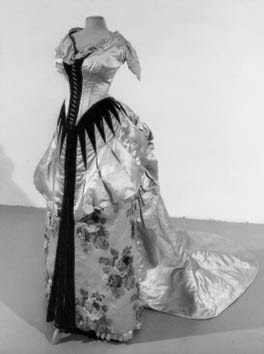 So, now I'm thinking about a Black and White evening gown? I have a ton of White Pearl Beaded Silk that would make a lovely bustle dress (or 6...yeah, I have a lot!). So I'm contemplating the idea of White with bold Black trim. I like the bold designs on these dresses. The Waistline of the above Worth original. 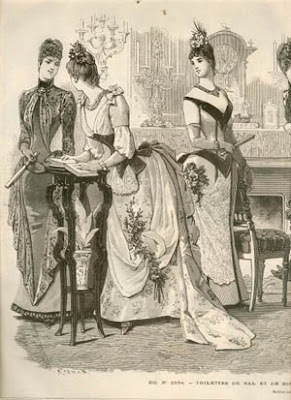 The waistline and neckline trim of the dress on the far Left. 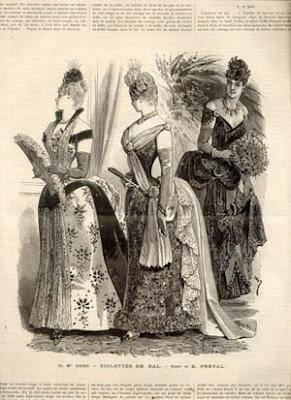 The waistline and neckline trim of the dress on the far Right.